Also called a simple listing or general listing, non-exclusive agreement between the seller and real estate agent that requires the seller to pay commission only if the listing agent is able to bring the buyer to the seller. If the seller finds a buyer through another agent or with no help from the listing agent, the seller will NOT have to pay any commissions to the original listing agent. 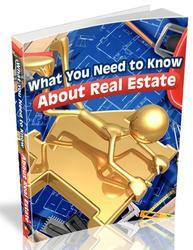 For more information, see the "Selling Your Real Estate" article in the "Real Estate In-Depth" section.